Solo exhibition at KRETS, Malmö, Sweden. Inauguration of the sculpture ‘And Back Again (the Sea)’ May 30, 2015. A permanent work placed by the shoreline of Sweden’s southernmost point. The Session and Pannrummet presents The Alphabet session that includes the alphabet (A–Z) created by 26 artists from various disciplines. Each participant was asked to make a three-dimensional interpretation of a letter from the latin alphabet. The alphabet will be exhibited at Pannrummet along with previous editions of The Session. 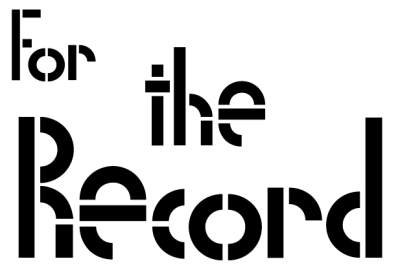 Karl Georg Staffan Björk, Leif Holmstrand & Ia Neumüller, Magnus Monfeldt, NIGHTWALKERS, Jenny Nordberg, Red Light Radio, Scapeous, Etta Säfve, Koen Taselaar & Wouter Venema, Monica Tormell, Father Futureback. Through a series of events – ranging from artist presentations, screenings and workshops, to a city walk, performances and an evolving exhibition – we will host a program divided into four interwoven chapters. Linking Dutch and Swedish artists, designers and experimental musicians, these chapters will deal with and celebrate independent artistic practices – and concepts such as meeting, producing, participating and sharing content. Artist presentation September 7 2014. Audio visual premiere of Moon & Sun in Muziekgebouw aan’ t IJ. With my project From Palmtrees to Pinetrees I’ve been working on bringing together the sonic with the visual to make the world of Moon & Sun more complete. I co-programmed the evening with The Rest is Noise with live acts Moemlien and Group Rhoda, DJ’s Future Vintage and Vintage Voudou. Inbetween the live acts we will screen the films Dream Family and Topografi from the artist Nadine Byrne. Represented by Plan B at the art fair Supermarket in Stockholm. A group exhibition with Tarja Szaraniec, Tomas Adolfs and Staffan Björk. Kulturhuset Stockholm, 14-16 February 2014. 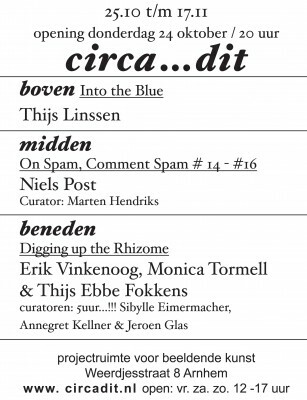 Exhibition at Circa…Dit, Arnhem with Erik Vinkenoog, Monica Tormell & Thijs Ebbe Fokkens. Curated by: 5uur…!!! Sibylle Eimermacher, Annegret Kellner & Jeroen Glas. Opening Thursday 24 October, 20:00. Exhibition open 25 October until 17 November. Circa…Dit, Weerdjesstraat 8 Arnhem. Open: Fri-, Sat-, Sunday 12:00 – 17:00. 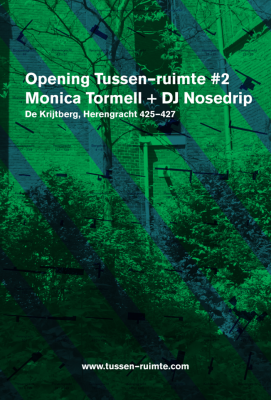 Tussen–ruimte (between–space) opens alleys, hidden courtyards and other unused spaces in the Amsterdam canal area, in collaboration with artists and architects. In the hidden garden behind the Krijtberg church my sculpture And Back Again (the Well) will be shown. Together with And Back Again (the Sea), placed in Smygehuk, the work is a part of an Echo Serie that connects the Sky, the Sea and the Land. 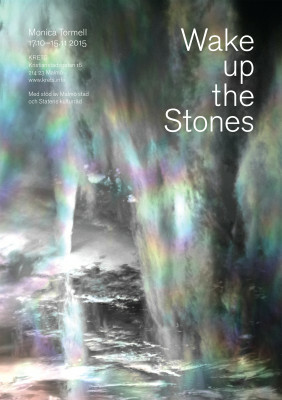 A group exhibition in the old warehouse and the surrounding outside area in Smygehuk, the southernmost point of Sweden. Opening 12.00 the 3 of August. The new issue of Det Grymma Svärdet has the American writer Lisa Carver as an overarching theme. Carver is presented, interviewed, paraphrased, reviewed and hailed. A 40-minute audio cassette is also included with Steso Songs, Simon Gärdenfors, Mole Says Hi, Naimi, Moon & Sun and many others who pays their tributes to Carver and her old band Suckdog.